If I was Image, I'd take the fact that Marvel announced 45 new titles right after I unveiled all my upcoming hits as a sign of respect. God knows they didn't do that when DC did. Sure I'd still be annoyed as hell, but flattered annoyed. Then I'd look at just the five highlights of the news below, smile and think 'Game On'. 'Nuff Said'. WHY: Kaare Andrews has just finished being a one man creative monster on Marvel's Iron Fist, now he get's to do it all over again in his first creator owned comic. BIO: They own more than half the world, and Renato Jones is going to even the score... one percent at a time. "A dark neo-noir tribute to focus all of my rage and revenge,” says Andrews. 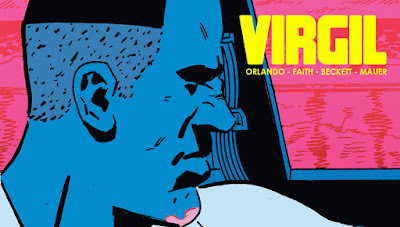 2) Steve Orlando & JD Faith' VIRGIL - September WHY: Midnighter is THE best book of the new DC crew and that means anything Orlando writes, I'm going to jump on, and you should too. Plus it's set in Jamaica and that sure beats another downtown Manhattan. BIO: Betrayed, beaten, and banished by his own, an outed cop fights his way across Jamaica for revenge in true Foxy Brown-style. 3) Brian Haberlin & Skip Brittenham's FASTER THAN LIGHT - September WHY: I'm a sucker for 3D comics, and this seems like a whole new take on that idea, only with art that doesn't hurt your eyes. BIO: With the discovery of faster-than-light travel, the universe is wide open to us, but are we ready for it? The story of humanity's first thrilling and terrifying adventure to the stars takes flight! Includes free cutting edge Augmented Reality app, which makes it look like interactive holograms are coming out of the book! 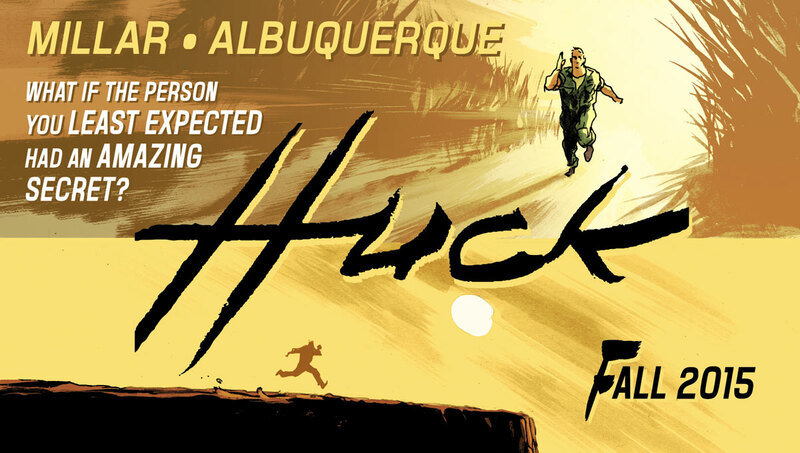 5) Mark Millar & Rafael Albuquerque's HUCK WHY: No, not 'Hulk', though kinda. Mark Millar and Rafael American Vampire Albuquerque go heartland, with the most timeless comic concept in ages; 'Captain America meets Forrest Gump'. BIO: Millar says "All the best old comics were about people you didn’t expect becoming empowered. So we wanted to do something incredibly sweet about a small-town guy with learning difficulties who could do all these amazing things. A big guy who just wants to help people and does it in secret so nobody even knows he even exists. A Frank Capra superhero story about a close-knit community and an amazing guy they just all want to shelter from the outside world." They at least have good, if somewhat, original ideas and concepts behind them, unlike the big two with their retooling and rebooting. Good one them, especially Karre Andrews for attempting to be different, while stil "sticking it" to the man. Come on and take my money!